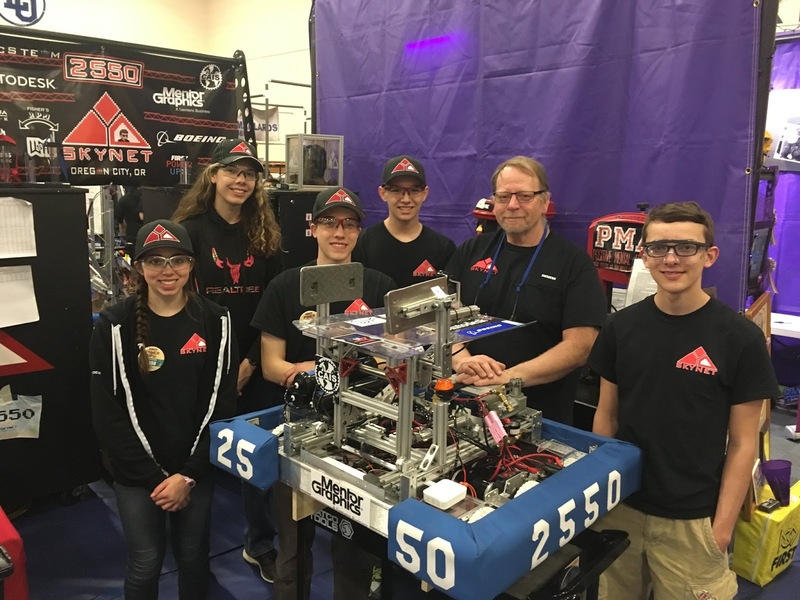 Although we did not get to proceed forth to the PNW Championships, it does feel as if we did win our own championship after the growth and learning that bloomed this season. For mechanical, we have had a lot of graduating members prior to our season as well as incoming members. This allowed for a chance to grow and develop new skills as a team. One thing that flourished out of this was the willing and eagerness to learn new things, an abundance of perspectives and aspirations for robot designs, and the perseverance to continue improving our robot design especially from our students leading projects including Chris Ashby, Reece Elledge, and, Jeremy Sneed. Although they may be hidden away in a quiet room to themselves, the programming team made significant strides in developing and using sensors. Nathan Walker, Skynet's programming lead, dedicated time to researching encoders, gyroscopes, ultrasonic, and was successfully able to program each of them.